Florida was very humid when I was there, except in St. Augustine?! Wasn't that a little odd? (try reading his "philosophy/diaries" some time; he is very DRY). I used to be a yearly traveler to Minnesota. A lot of lakes, but lower humidity (and less crocs) than Florida. But state bird is the mosquito! Ha! Anyway, even Minnesota has "gotten" more humid since 2000. My mom says she remembers very hot summers in the past - in Missouri and Kansas; and we've always had humidity, and she has a good memory on the past when it involves herself/comfort. People told me years ago that Arizona (and Nevada) would eventually have humidity down there, because of people transporting plant life ; I and my allergy doctor disagreed, because it is desert! There IS desert in California too; wonder if it "behaves" like a desert? Some of it behaves like desert. We used to go play in the sand with dune buggies etc..about 150 miles from here. But..there is also high desert like Bishop where it's not much like desert at all, tall mountains and it snows. We also have death valley out here which is about as desert as desert gets. We have some areas like Borrego (famous for Borrego sheep) and Indio where they irrigate now and it grows lots of alfalfa and produce..that place is very humid. a big valley surrounded by mountains on all sides. Lots of oak trees..sage, rocks. Ocean to the South, lakes and mountains to the north, Desert to the east and Mexico to the west. No tsunami could make it over the mountains to get me LOL. Been here all of my life..mostly because this place seems to have a giant hold over some people. I'm not comfortable away for any length of time..my kids are the same way. I know I've mentioned it somewhere on here but there is a group called the Lemurian Fellowship who's leader long ago founded it saying that in a vision or something similar..he was told that when the 'big' quake happened Ramona would be safe. Beachfront property. They've been here as long as I have which is a long time. Funny..you'd never know if you met a Lemurian..they're very secretive LOL. a small valley surrounded by mountains on all sides. Lots of oak trees..sage, rocks. Ocean to the South, lakes and mountains to the north, Desert to the east and Mexico to the west. No tsunami could make it over the mountains to get me LOL. Been here all of my life..mostly because this place seems to have a giant hold over some people. I'm not comfortable away for any length of time..my kids are the same way. I know I've mentioned it somewhere on here but there is a group called the Lemurian Fellowship who's leader long ago founded it saying that in a vision or something similar..he was told that when the 'big' quake happened Ramona would be safe. Beachfront property. They've been here as long as I have which is a long time. Funny..you'd never know if you met a Lemurian..they're very secretive LOL. I swam in the month of March in Daytona yrs. back....thousands there during spring break . I was the ONLY person in the ocean,,,lol. Northerners ...hehe. Orlando, sizzlin. Universal was fun. St. Augustine was cooler. I love Florida. Gotta love them crab shacks, yum. Was born in Cali,,, most diverse climate I've ever been in from N. to S.
Lots of family there and yrs. of memories. Arizona was hot, Vegas too, though far less humidity than here. Spent yrs. there too. I miss the desert/mountains, but I'll probably live out the rest of my time here...Missouri is my home. I love the peace (at least in this neck of the woods) . Just seen my first nader of the season....a good friend captured one on film next to his house also 30 miles away after it whirled past here.. I was born in Joplin. (We lived in Kansas but Joplin was closest town.) Moved to Illinois when I was 1 year old. Lived in northern Illinois for 50 years. Belonged to a curling club. Used to curl in bonspiels in Wisconsin. I remember one year, we were staying at a motel in Green Bay. Temp one night was minus 30. Everyone at motel had electric car engine warmers plugged in. 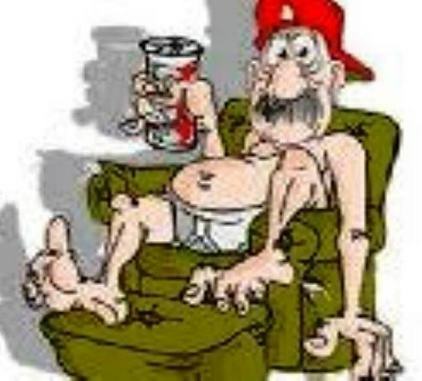 We curled a game, had a few libations, returned to motel at 1:00am, went around and unplugged everyone's heaters.....(except ours)! Moved to Florida in '93. (Had to sell my snowmobile. Sigh...) I LOVE FLORIDA! OMY gosh..curlers have to be the most patient people alive..for me it's easier to watch grass grow LOL. Anyone who is a curler..would HAVE to have a sense of humor!!! Wow! A new game I hadn't heard of! Learn something new every day! BTW, it IS very easy to watch grass grow! One of my "jobs" last summer was to keep the ground moist after we had "tilled" and planted new grass. I was perturbed about it, because it was the wrong time to plant, and every day someone asked me "see any grass yet?" My "defense" was : shouldn't tease the person with the hose!! Anyway, I set myself up with a relaxing chair in the garage shade, some good books, and the good ole internet, and after 5 days, we got grass! And that part of the yard looks great this year! Tonight – July 18, 2016 – see if you can make out the dark areas on tonight’s all-but-full waxing gibbous moon. These smooth, low-lying lunar plains are called maria, the plural for the word mare), the Latin word for sea. You should be able to see the darkened portions on the moon with the eye alone. This collection of lunar plains – the solidified remnants of ancient seas of molten magma – actually makes the near side of the moon reflect less light than the far side does, which lacks the maria. So, in terms of reflectivity, the moon’s dark side is its near side. Photo top of post: Tom Stirling in Kennebunk, Maine, calls this photo Sea of Serenity. 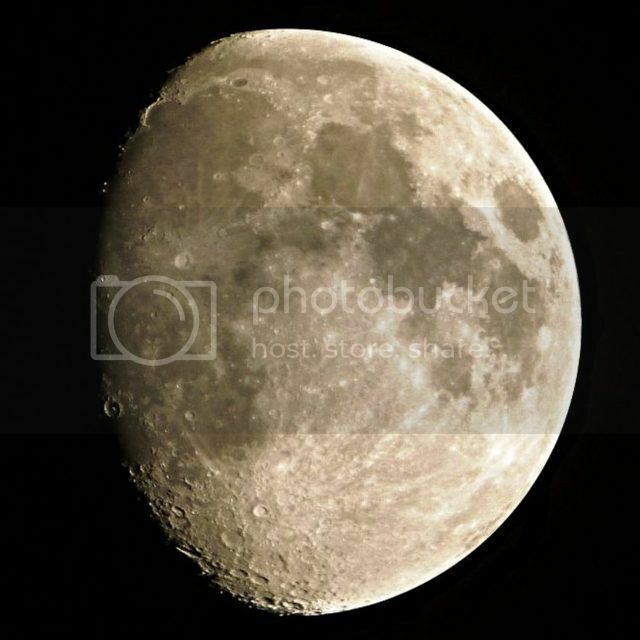 He caught the waxing gibbous moon from his driveway on June 15, 2016. Near side of the moon via Wikimedia Commons. If you’d like to scrutinize the maria more closely, use binoculars or the telescope. Remember, the view will be better around the time of sunset or early dusk – before the dark of night accentuates the moon’s harsh glare. In times past, astronomers really thought the dark areas contrasting with the light-colored, heavily-crated highlands were lunar seas. In some ways they were correct, except that these were seas of molten magma instead of water. Now solidified, this molten rock came from volcanic eruptions that flooded the lunar lowlands. However, volcanic activity – at least from basaltic volcanoes – is now a thing of the moon’s past. 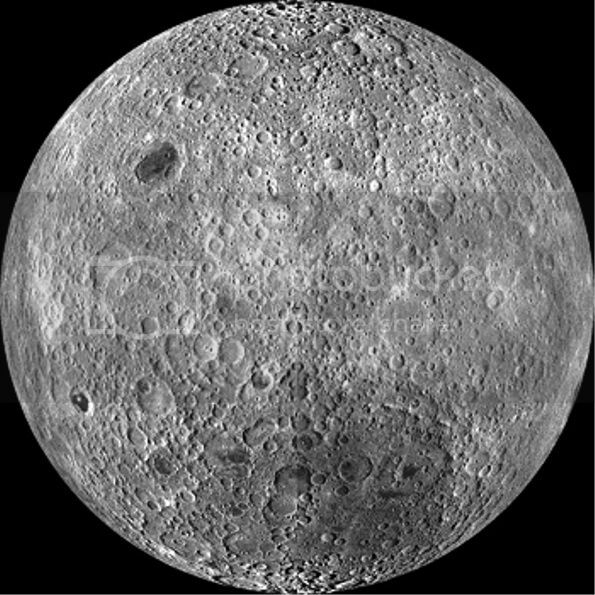 For the most part, lunar maria are found on the near side of the moon. In this respect, that makes the near side – not the far side – the dark side of the moon. Far side of the moon via Wikimedia Commons. Maria cover about 30% of the near side but only 2% of the far side. The reason for this is not well understood, but it has been suggested that the crust on the moon’s far side is thicker, making it more difficult for magma to reach the surface. The lighter-colored highland regions of the moon are composed of anorthosite, a certain kind of igneous rock. On Earth, anorthosite is uncommon, except for in the Adirondack Mountains and the Canadian Shield. For this reason, people in this part of the world like to fancy that the moon originated from their home turf. The prevailing theory states that the moon was formed when a Mars-sized object crashed into the Earth, creating a ring of debris that eventually condensed into the moon. I suppose time will tell whether this explanation for the moon’s origin is true or false. Just messin around with the scope last night. It's difficult to shoot with the camera on the cell phone.....(afocal method). Black Moon, Blood Moon, Blue Moon: What's With All These Weird Moon Names? Black Moon, Blue Moon, blood moon, supermoon — what's the difference between all these moon types? We have a quick guide below to help you distinguish moon from moon. Bear in mind that, in most cases, the nicknames given to different moon events do not have large astronomical significance. 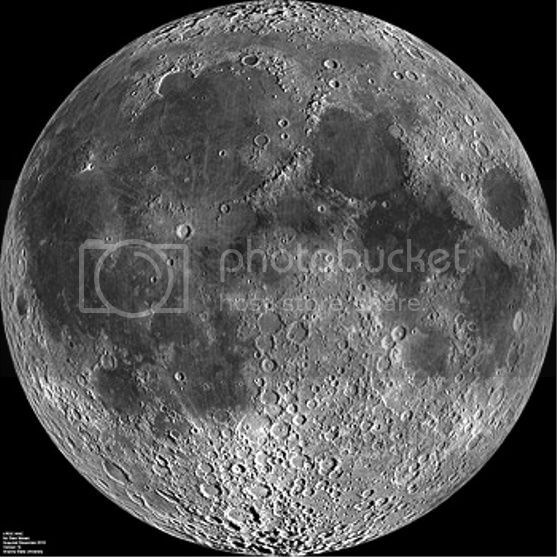 In most cases, the names refer to some connection between the position or phase of the moon and the Gregorian calendar. A Black Moon has multiple meanings. One commonly used definition is the second new moon in a month. The moon goes through several phases that skywatchers can see from Earth. During a full moon, the entire disc is visible. During a new moon, none of the disc is visible because the far side of the moon is lit by the sun, leaving the Earth-facing side in shadow. According to Space.com skywatching columnist Joe Rao, Black Moons (under this definition) occur about every 32 months. The next Black Moon in North America will be Friday, Sept. 30. Berman added that there are other definitions of a Black Moon. One refers to a situation in which there are no new moons in an entire month. This is only possible during the month of February, which normally has 28 days. Because a lunar cycle is 29.5 days, it's possible for February to miss either a full moon or a new moon. An even lesser-known definition for the Black Moon is the third new moon in a season of four moons. Berman said he is not sure where this definition originated. A Blue Moon does not refer to the color of the moon, as one might expect. Instead, it usually refers to the second full moon in a month. The last Blue Moon occurred on May 21, 2016, and the next one is on Jan. 31, 2018. Sometimes, the third full moon in a season is also called a Blue Moon, which may be a partial explanation for one of the definitions of the Black Moon, Berman said. The term "Blue Moon" originated in the 1940s but didn't become widely used until a few decades ago, he said. The so-called blood moon happens during a total lunar eclipse. At that time, the Earth passes in between the sun and the moon, and blocks the sun's light from falling directly onto the moon. Instead, the moon receives a little light from the edges of Earth's atmosphere, which turns the light (and the moon's surface) red. Skywatchers who have witnessed a total lunar eclipse will understand why it is called the blood moon. 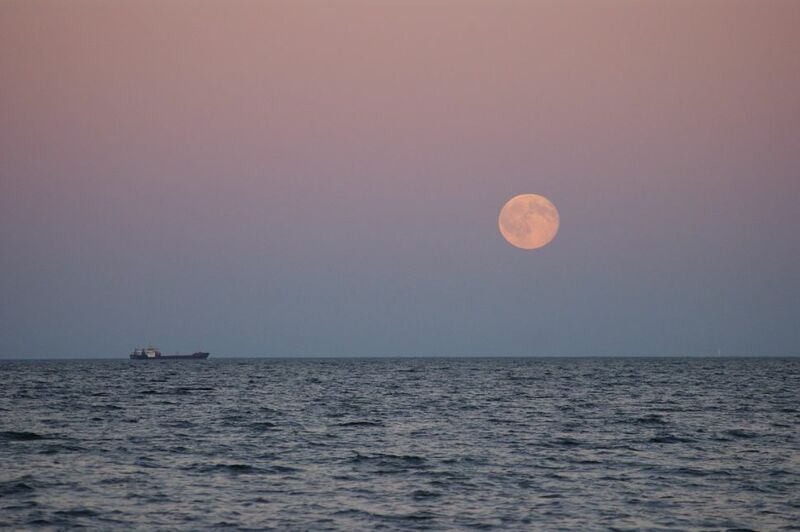 A so-called supermoon occurs when the moon is full and at its closest point to Earth. Although this increased proximity makes the moon appear slightly larger in the sky, the change is so slight that most skywatchers won't notice the difference. On Nov. 14, 2016, the supermoon will be extra-special, according to Rao. "The moon will turn full at 8:52 a.m. EST (1352 GMT), just 2.4 hours after it comes within just 221,541 miles (356,536 km) of the planet," Rao wrote in an article for Space.com, noting the moon's average distance from Earth is 238,900 miles, or 384,470 km. "The last time the moon came this close was on Jan. 26, 1948," he added. "Expect a large range in ocean tides (exceptionally low to exceptionally high) for the next few days." Various cultures also attribute different names to the full moons of every month. For example, Native American tribes and other groups of people in the Northern Hemisphere named the November full moon the Beaver Moon and the Frosty Moon, both of which refer to the local wildlife and changing seasons. To see a full list from 2016, consult this article by Rao. Just when you thought it was safe to go outside at night to do a little stargazing, the moon is being all weird again. If you've been paying attention to the tabloid press, you'll likely know that Friday will play host to a "Black Moon." But you probably heard about it for all the wrong reasons.According to some outlets, this "rare" astronomical event is a signal that the world is going to come to an end and a prelude to the second coming of Jesus Christ. Why? Well, some people on social media said so. Alas, like the last "Blood Moon," "Super Moon," "Blue Moon," "Harvest Moon" and "Monster Moon" (OK, I made that last one up), Friday's "Black Moon" is a lot less interesting than it sounds. In the case of the new moon, the moon is positioned between the Earth and sun, leaving the near side in darkness. We'll therefore see, well, not a lot. A couple of days after a new moon, as the lunar cycle rolls on, a thin crescent will appear (pictured top), but until then, the face of the moon will be, well, black. More or less, the lunar cycle lasts a month (on average 29.53 days — known as a synodic month), but September this year will see two new moons, one that occurred on Sept. 1 and the other that will occur on Sept. 30. This may sound familiar; the occasional second full moon in a month is known as a "Blue Moon" — hence the saying "once in a blue moon" when describing a rare event. What's a Black Moon and what should you expect to see? Not much. The astronomical spotlight will shine on the Western Hemisphere as September winds down. But this spotlight defies convention, because it is defined by its very lack of illumination. The event is what some people call a Black Moon — the second New Moon to occur in a calendar month. In this respect it mimics the Blue Moon, which typically refers to a second Full Moon in a month. But you can see a Full Moon. New Moon arrives when Earth’s lone natural satellite passes most directly between the Sun and our planet. Sunlight then falls solely on the far side of the Moon, so the hemisphere that faces Earth remains in complete darkness. The New Moon also crosses the sky with the Sun, so any hint of its presence gets washed away in the solar glare. New Moon officially takes place at 8:11 p.m. EDT on September 30. (The first New Moon of the month happened at 5:03 a.m. EDT on the 1st.) Although Black Moons are uncommon, it would be a stretch to call them rare. The last such Black Moon in the Americas occurred in March 2014; the next will come in July 2019. To complicate matters, there is no Black Moon this month in Europe, Africa, Asia, and Australia because New Moon arrives after midnight, when the calendar will read October. This side of the globe will have to wait until the end of October for their brush with the astronomical spotlight. A close-up view of a commemorative plaque left on the moon at the Hadley-Apennine landing site in memory of 14 NASA astronauts and USSR cosmonauts, now deceased. Their names are inscribed in alphabetical order on the plaque. The plaque was stuck in the lunar soil by astronauts David R. Scott, commander, and James B. Irwin, lunar module pilot, during their Apollo 15 lunar surface extravehicular activity (EVA). The names on the plaque are Charles A. Bassett II, Pavel I. Belyayev, Roger B. Chaffee, Georgi Dobrovolsky, Theodore C. Freeman, Yuri A. Gagarin, Edward G. Givens Jr., Virgil I. Grissom, Vladimir Komarov, Viktor Patsayev, Elliot M. See Jr., Vladislav Volkov, Edward H. White II, and Clifton C. Williams Jr. The tiny, man-like object represents the figure of a fallen astronaut/cosmonaut. While astronauts Scott and Irwin descended in the Lunar Module (LM) "Falcon" to explore the Hadley-Apennine area of the moon, astronaut Alfred M. Worden, command module pilot, remained with the Command and Service Modules (CSM) in lunar orbit. Unlike the three governments that have led lunar missions — the United States, the Soviet Union, and China — the owners of this private firm have something history-making in mind for that little ball of extraterrestrial soil: They plan to sell it. "It will instantly become the most valuable and scarcest material on Earth," says Bob Richards, the CEO of Moon Express. "We'll make some of it available to scientific research. But we also plan to commoditize it ourselves." Moon Express is gearing up to become the first company to ever transport a commercial asset from space back to Earth. But it's not alone. Several ambitious startups are busily developing plans to launch mining operations on both the moon and asteroids, with initial proof-of-concept missions set to kick off over the next few years and more robust operations within a decade. China is a key player, too, along with a tiny, unlikely European upstart: the Grand Duchy of Luxembourg. Those seeking to conquer celestial commodity markets are beckoned by the glittering wealth that could await them in space. "We believe that the first trillionaires will be made from space resources," says Richards. Exactly which minerals will drive those fortunes remains to be seen. THE MOON HOLDS SIGNIFICANT AMOUNTS OF A SPECIAL TYPE OF A FUTURISTIC FUEL SOURCE CALLED HELIUM-3 — ENOUGH, SOME SAY, TO MEET ALL OF EARTH'S POWER DEMAND FOR THOUSANDS OF YEARS PROVIDING SCIENTISTS CAN MASTER THE FUSION POWER TECHNOLOGY TO UTILIZE IT. A fortune could be made by anyone able to capture and exploit one of the mountain-sized asteroids made of platinum or other precious metals thought to be orbiting the sun, or deposits of rare earth elements on the moon. Others point to the potential for zero-gravity construction of super-massive colonizing spacecraft and mammoth floating structures using raw materials sourced from asteroids. Most, however, are focused on a resource that's commonplace on Earth: water. Water, space entrepreneurs say, will be the key space commodity for an economy expanding into the solar system — both because it can sustain life as drinking water and breathable air, and because it can be broken down into hydrogen and oxygen to make rocket fuel. Sourcing water from space could, for example, turn the moon into a depot for more ambitious missions. "Water is like the oil of the solar system," said Richards. "The moon could become a gas station in the sky." In the near term, Moon Express is focused on providing relatively low-cost transport to the surface of the moon for commercial, private, academic, and government customers. The company is planning three lunar missions by the time it brings back the small scoop of lunar soil, between the size of a baseball and basketball, in 2020. Selling part of that scoop to private interests — for example, as moon gems for jewelry for the ultra-rich — will set an important precedent. The international Outer Space Treaty of 1967 says no country can claim sovereignty over extraterrestrial territory. But in 2015 President Barack Obama signed a law granting private citizens the rights to resources recovered from space. The company's first mission, slated for this year, will be in part an attempt to win the Google Lunar XPrize. The competition offers $20 million to the first private company able to land a rover on the moon's surface, travel 500 meters, and then broadcast hi-definition images back to Earth. A total of $1.8 billion was invested in space ventures in 2015 — more than in the prior 15 years combined, according to the Tauri Group consultancy. More than 50 venture capital firms invested in space deals in 2015, the most of any year, the group found. The United Launch Alliance, a joint venture between Lockheed Martin and Boeing, is planning a lunar fueling station for spacecraft, capable of supporting 1,000 people living in space within 30 years. Apollo 17 and the mystery of the last moon landing, why haven’t we returned? Why did NASA stop at Apollo 17? And did they stop? NASA did, in fact, have three more missions planned after Apollo 17, Apollo 18, 19 and 20, but the missions ‘allegedly,’ never took place. Let say that officially, the last known mission where human beings walked on the moon was NASA’s Apollo 17 that took place in 1972. It was the final moon landing and end of the Apollo era, but it was also the last time human beings left Earth’s low orbit; the Apollo 17 Mission lasted for 2 days, 13 hours, 51 minutes, 59 seconds. Apollo 17 landed on the Taurus–Littrow valley, located on the southeastern edge of Mare Serenitatis along a ring of mountains that formed between 3.8 and 3.9 billion years ago when a massive object impacted the Moon (Theia). But why did NASA stop at Apollo 17? And did they stop? NASA did, in fact, have three more missions planned after Apollo 17, Apollo 18, 19 and 20, but the missions never took place. The movie Apollo 18 has quite a few details that many ufo researchers support, proving a good point according to some. The Apollo 18 mission was planned and was meant to land on the Copernicus crater, but various landings sites were given and was changed to Schröter’s Valley according to “NASA OMSF, Manned Space Flight Weekly Report” dated July 28, 1969. Apollo 19 which was also planned and discussed to touch down at the Hyginus Rille or Copernicus region and Apollo 20 was initially destined for the Tycho crater, the Surveyor VII site, but none of these missions took place, and many of us have wondered why? Why did NASA stop? Was it because of economic and political reasons as some suggest or was there something more to it? Things went really well for Apollo 17. It was a mission that broke several off-world records, including the longest manned lunar landing flight, it was also the mission that had the longest total lunar surface EVA’s (Extravehicular Activities), and it was the mission that brought to Earth, the largest lunar sample, and was also the mission with the longest time in lunar orbit. Apollo 17 had three Moonwalks that lasted over twenty-two hours and covered according to reports, over thirty-five kilometers. It was a mission of great success, yet it marked the end of manned lunar exploration, at least to date. 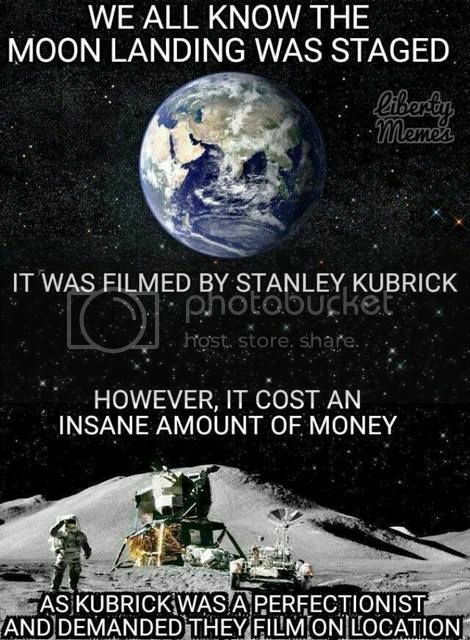 Official explanations as to why NASA discontinued Apollo were the lack of funds, even though the agency had planned a visit to Skylab in 1973 and 1974 and the Apollo-Soyuz Test Project in 1975, but there was always a shortage of money and very little political support. Technology has been developed since then to achieve great goals pushing our boundaries further. NASA’s Orion capsule is proof of such advancements, and it is a new hope for Space exploration and colonization. We have practically forgotten the moon, shooting for the Red planet instead, which is by far more expensive than missions to the moon. Queqiao probe will act as relay station for a future lunar lander, and carries two radio-astronomy experiments that will explore the early Universe. China has taken its first major step in a groundbreaking lunar mission. On 21 May, a probe launched from Xichang Satellite Launch Centre to head beyond the Moon, where it will lie ready to act as a communications station for the Chang’e-4 lunar lander. The nation hopes that the lander will, later this year, become the first craft to touch down on the far side of the Moon. The relay probe, named Queqiao and designed by the Chinese Academy of Sciences, also carries two pioneering radio-astronomy experiments. Both are proof-of-principle missions designed to test technologies for exploring a period in cosmic history known as the dark ages. These first few hundred million years of the Universe’s existence, before galaxies and stars began to form, are all but impossible to study from Earth. But the spectrum of radiation from this age — when matter was distributed nearly uniformly across space as a thin, cold haze — could reveal information about the distribution of ordinary matter compared with dark matter in the Universe. 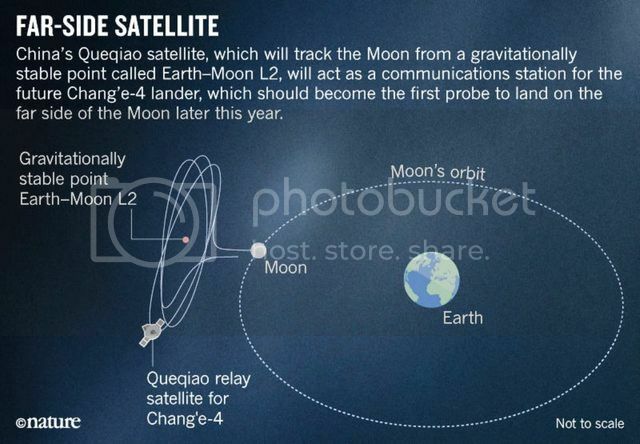 For at least part of its orbit, Queqiao will be eclipsed by the Moon, as seen from Earth, which could benefit the NCLE because its antennas will be further shielded from the radio noise that constantly leaks from our planet. Still, observation time and the bandwidth for sending data back to Earth will be limited. And because Queqiao is designed primarily as a data-relay station (its name comes from a folktale about magpies that form a bridge across the sky), it is not optimized for radio astronomy. That means it will be challenging, if not impossible, for this demonstrator mission to detect the dark-ages signal itself, says Heino Falcke, a radio astronomer at Radboud University Nijmegen in the Netherlands who is the experiment’s science leader. Nonetheless, the NCLE “is pioneering and an important first step toward investigating the dark ages and cosmic dawn”, says Jack Burns, an astrophysicist at the University of Colorado Boulder who is leading a proposal for a NASA mission with similar objectives. To avoid jeopardizing the Queqiao probe, mission control will deploy the NCLE’s antennas only after the Chang’e-4 lander’s mission is completed, says Marc Klein Wolt, a Radboud astronomer who is NCLE’s manager. But the NCLE might go on collecting data for several years, he says. 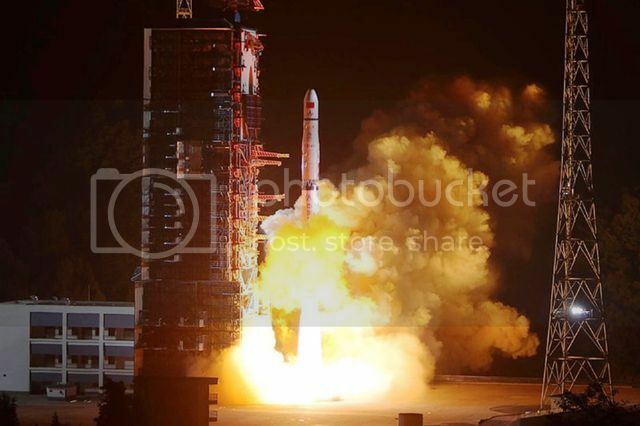 The second experiment that launched with Queqiao consists of two smaller satellites called Longjiang-1 and Longjiang-2, which will detach from the mothership and orbit the Moon. Built by researchers at the Harbin Institute of Technology in China, the instruments will test technology for a radio-astronomy technique called very-long baseline interferometry (VLBI). This approach combines data from multiple radio antennas to create images of much higher resolution than would be possible with a single dish. Falcke and others have long studied the possibility of doing VLBI with a large array of lunar orbiters — or on the lunar surface — to map variations across the sky in signals from the dark ages and cosmic dawn. Klein Wolt says that his team might experiment with combining data from NCLE with those from the two lunar orbiters, and even from a radio antenna on the Chang’e-4 lander itself. The Chang’e-4 mission is another step in China’s ambitious lunar-exploration programme, which aims to establish a Moon base in the next decade, and to begin human exploration in the 2030s. The lunar lander will carry a rover and was originally designed as a back-up for Chang’e-3, which in 2013 became the first craft since 1976 to soft-land (rather than crash-land) on the Moon. Chang’e-4 has now been repurposed, and the mission’s main scientific goal is to study the geology of the hidden side of the Moon, which is pockmarked with many more small craters than the familiar near side. The lander carries several experiments, including a sealed ecosystem, built by Chongqing University, which will test whether potato and thale-cress (Arabidopsis) seeds sprout and photosynthesize as silkworm eggs hatch and the worms produce carbon dioxide. Another experiment, built by German scientists, will measure the radiation that will confront future astronauts who visit the lunar surface. The rover, which will separate from the lander to move around the surface of the Moon, will carry instruments including a solar-wind detector built by a Swedish team. Areas of the moon locked in permanent shadow, like those shown here, can still harbor water. But long ago, water was abundant across the Moon. Today, the Moon is about as inhospitable to life as it gets. The little water that’s there is trapped in ice or rock. It’s otherwise dry and airless, fluctuating in temperature by hundreds of degrees anywhere the sun shines. But long ago? That’s an entirely different story. New research published in Astrobiology suggests that the Moon may have been shockingly habitable in the past during at least two periods — shortly after the Moon formed, and when volcanic activity was at its highest. The key to it all is heat and lots of energy. The Moon formed after a collision between Earth and a proto-planet astronomers call Theia. And just after the smash up, there was lots of water vapor — enough that the Moon could’ve had a fairly substantial atmosphere and pools of water on the ground. Volcanic activity was also high, which could have replenished the atmosphere with water vapor from deep in the interior. That all happened roughly 4 billion years ago. And by the time volcanic activity settled down some 500 million years after the collision, the atmosphere couldn’t cling on — and much like Mars, the Moon dried up. But in that 500 million-plus year span, all the ingredients for life may well have been present. That habitable era also fell during a period of frequent asteroid bombardment, so the inner solar system may have shared with the Moon ingredients to make life possible. Asteroids could have even struck early Earth and transported primitive bacteria to the surface of the Moon. The short span of lunar life didn’t really have long to evolve much beyond single-cell organisms. However, there’s abundant evidence that the early lunar water is still trapped within rock now. So, digging a little deeper under the surface of the Moon — in, say, a lunar exploration program — could yield greater evidence for lunar life, including the possibility of fossilized microbes trapped in rock. The moon will be three days past perigee, the point in its orbit where the natural satellite is nearest to Earth, so it will almost be a "supermoon," appearing larger than average. Supermoons happen when the full moon coincides with perigee, but the difference in size even for these "super" satellites is usually too small for any but the most careful observers to notice. Full Moon: Why Does It Happen? How Does It Affect Us?